Identifies the polar reactions that are frequently employed in carbogenic synthesis. 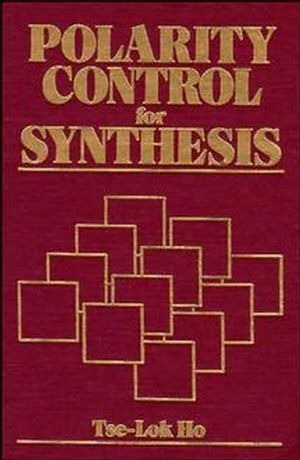 While touching on retrosynthetic analysis, it's emphasis is on the exploitation and manipulation of the electronic properites of synthons in response to synthetic necessity. Some Aspects of Organic Reactivity. Other Methods for the Preparation of 1,3-DifunctionalCompounds. Synthesis of 3-Oxy Amino Compounds and 1,3-Diamines. Synthesis of 1,5-Difunctional Compounds: Michael Reaction. Other Methods for Synthesis of 1,5-Difunctional Compounds. Synthesis of 1,6- and 1,7-Diheterosubstituted Compounds. Reactions and Synthesis of Odd-Membered Ring Compounds. Oxidoreductions and Some Other Umpolung Processes.